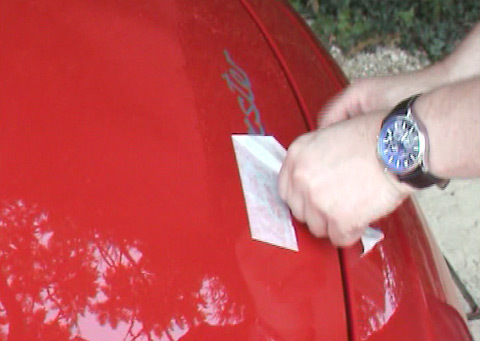 The following video demonstrates 3 different methods of applying smaller decals. 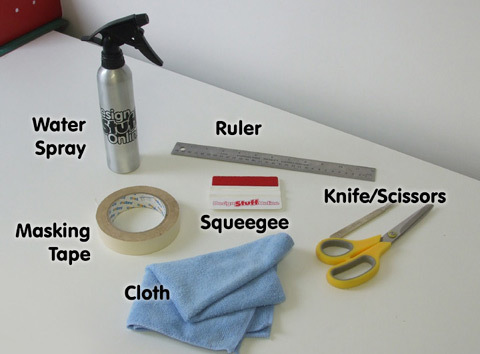 A water spray, ruler/measuring tape, masking tape, squeegee (a credit card with a piece of cloth wrapped around makes a good substitute), a cloth and a sharp knife. Align the decal and hold in place using a piece of masking tape through the cross section. 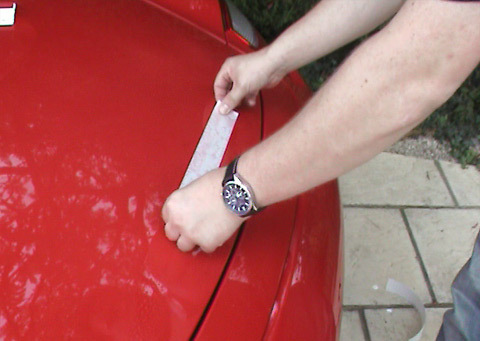 Peel off half of the backing paper and spray a little water onto the sticker and the surface, then smooth down. Repeat for the opposing side. * Spraying water is not necessary, but can help disperse any air bubbles. 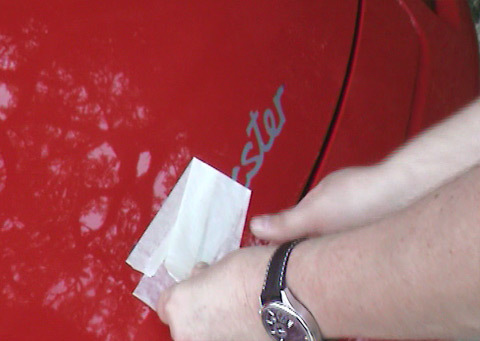 Using firm pressure, smooth theentire decal down with a squeegee, squeezing any water out from behind the decal. 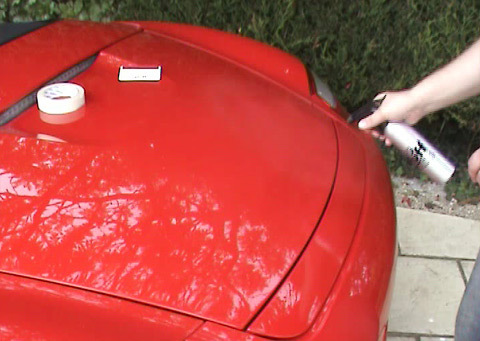 Peel back the applicator tape slowly, at a tight angle (i.e. NOT pulling away from the surface), ensuring the decals remain stuck in place. Align the decal and hold in place using a section of masking tape along the top of the decal, creating a 'hinge' affect. 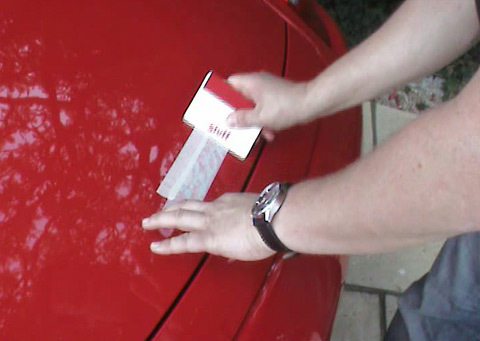 Peel off all of the backing paper and spray a little water onto the sticker and the surface. 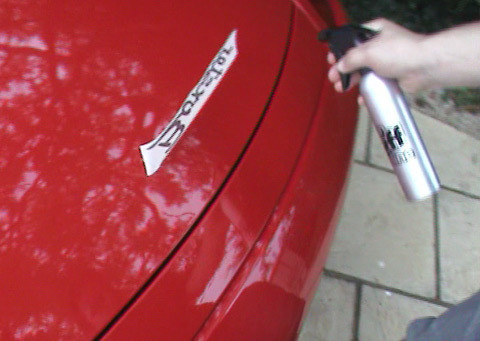 Using firm pressure, smooth the decal down with a squeegee, squeezing any water out from behind the decal. Peel off all of the backing paper and stick decal to the surface.